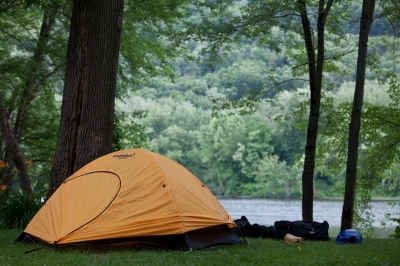 Starting as narrow stream in the Allegheny Mountains, the West Branch Susquehanna River Water Trail journeys 228 miles through dense forests, rolling farmland, and historic towns to its confluence with the North Branch in Northumberland. 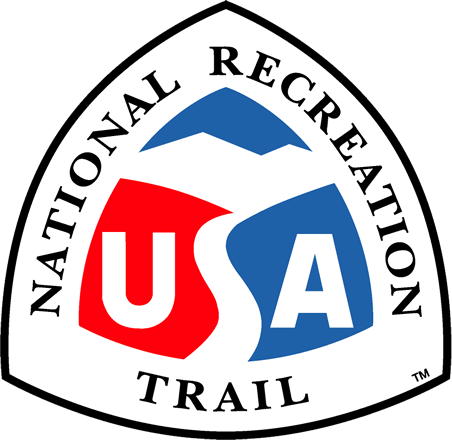 The Water Trail is accessible from Pennsylvania State Roads 219, 969, 1001, 879, 1011, 120, 405 and US Highways 220 and 15. Starting as narrow stream near Cherry Tree in the Allegheny Mountains, the West Branch Susquehanna River journeys 228 miles to its confluence with the North Branch in Northumberland. The Susquehanna River Watershed is the largest tributary and an integral part of the Chesapeake Bay ecosystem. Paddling along the large remote stretches of the forested upper West Branch today gives one the sense of how Native Americans first saw the landscape. 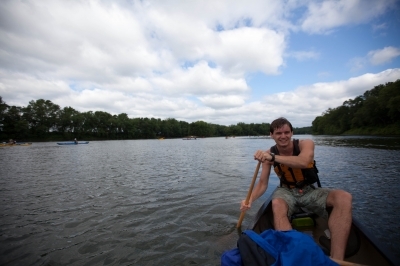 The River has been a corridor for recreation, travel, commerce, and a confluence of cultures. When John Smith explored the Chesapeake Bay in 1608, Susquehannock Indians traveled down River to meet Smith and exchange goods. The region played a critical role in the foundational years of the country with its vast resources of coal, lumber and abundant water. As Susan Q. Stranahan wrote in her book, Susquehanna River of Dreams, people came here from around the world to pursue their dreams. Their cultural heritage is still written in the distinctive architecture of the River Towns that dot the shores of the West Branch. During the 1800's the region was completely stripped of trees to build and fuel the growing nation. Today paddlers can enjoy what the forest conservation movement, started by great visionaries like Gifford Pinchot and Joseph Rothrock, has left us: mile after mile of forested mountains and valleys, deer, bear, elk, and birds in abundance in what is now the Lumber Heritage Region. Interpretive signs along the trail tell the story of the lumbering heritage. The Water Trail also traverses the Pennsylvania Wilds, a region of natural beauty, charming towns, the biggest elk herd in the Northeast and more than two million acres of public lands for your enjoyment including hundreds of miles of backpacking trails, bike paths, trout fishing streams, the Pine Creek Gorge, Allegheny National Forest, and the darkest skies in the east at Cherry Springs State Park. Some portions of the upper West Branch have a main road less than a mile off stream, others only a rail line following the river's meandering path, making a manageable wilderness canoeing experience. In early spring or following heavy rainfall events, three class II rapids can be found at River Miles (RM) 127, 194 and 204. Caution should be taken at Spencer's Rocks and Sheep's Pen rapids at RM 194 as the severity of these rapid increases with the water levels. 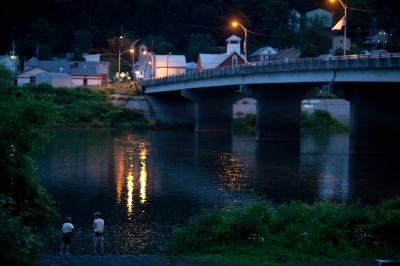 Scenic Auto Route 120 follows the river from Keating to Lock Haven. 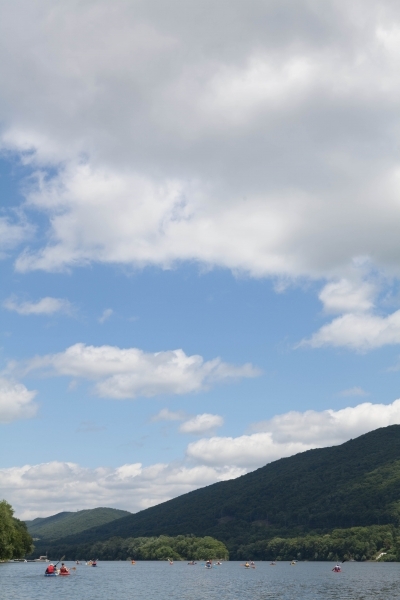 At RM 90, hang gliders take off and soar above the river from Hyner View State Park. Connecting with the West Branch at RM 55 is Pine Creek, also an excellent paddling stream, but best known as a premier rail trail with a spectacular 62-mile journey through the “Grand Canyon of Pennsylvania”. At Williamsport, the 4-mile Susquehanna River Walk and interpretive Timber Trail allow one to stretch their legs, walk into town, and learn about the lumber industry. The scenic section between Montoursville and Muncy offers seclusion and is the perfect length for a day trip. 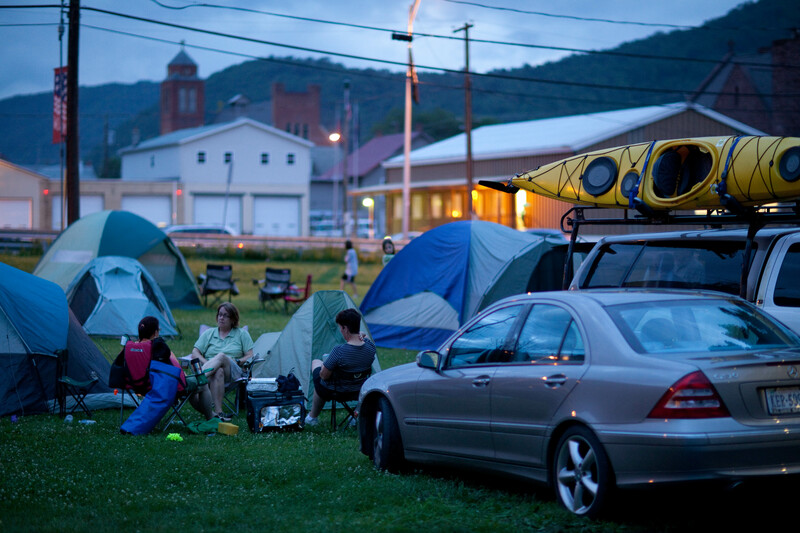 Continuing downstream, the West Branch and its surrounding mountains begin to widen and flatten out while meandering between state forest, farm land and small towns that offer riverside campgrounds. 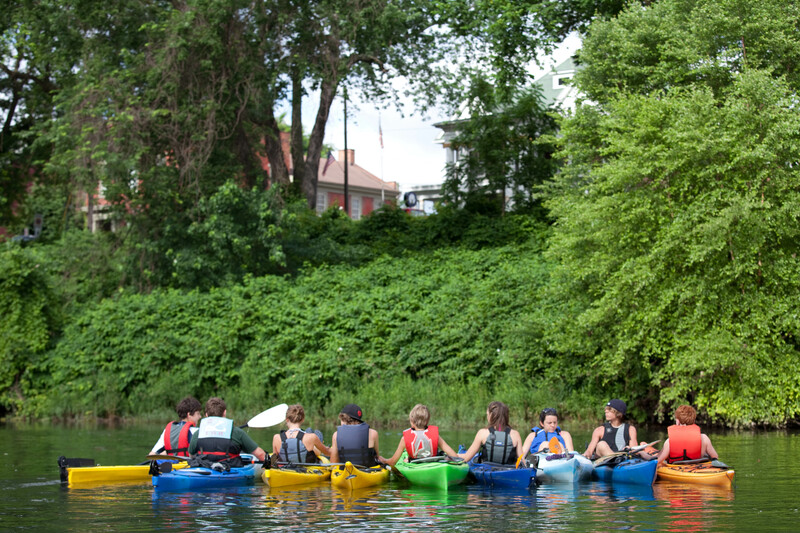 The Water Trail is within a six-hour drive of 50 million people, and the urban population centers of: Harrisburg, Pittsburgh, Philadelphia, New York, Scranton/Wilkes-Barre, Baltimore and Washington. The Susquehanna River Water Trail is the largest contiguous water trail system in the Chesapeake Bay watershed, consisting of over 440 miles on the North Branch, West Branch and main stem of the Susquehanna. An American Canoe Association Recommended Trail, the Water Trail system has an extensive network of public access points provided by the Pennsylvania Fish and Boat Commission (PFBC), PA Game Commission, Department of Conservation and Natural Resources (DCNR), local municipalities, and local hydropower utility companies. 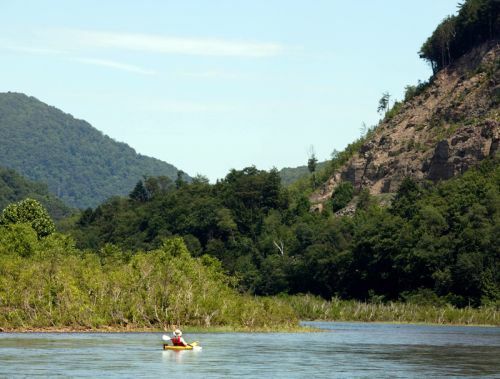 The Water Trail is part of the PFBC – administered Pennsylvania Water Trail System and part of the National Park Service's Chesapeake Bay Gateways Network (CBGN). Signage, maps and guides for the Susquehanna River Water Trail-West Branch have been produced with assistance from the PFBC, DCNR, CBGN, LHR and other local, county, and business sources. Published materials for the trail communicate low-impact ethics and related stewardship themes to trail users. A comprehensive water trail orientation and safety signage system has been developed by the Pennsylvania Environmental Council for the entire Susquehanna River Water Trail system, including eight safety signs on the West Branch. The trail is supported and managed by the Susquehanna Greenway Partnership (SGP), PFBC, DCNR CBGN, and numerous other public and private partners. 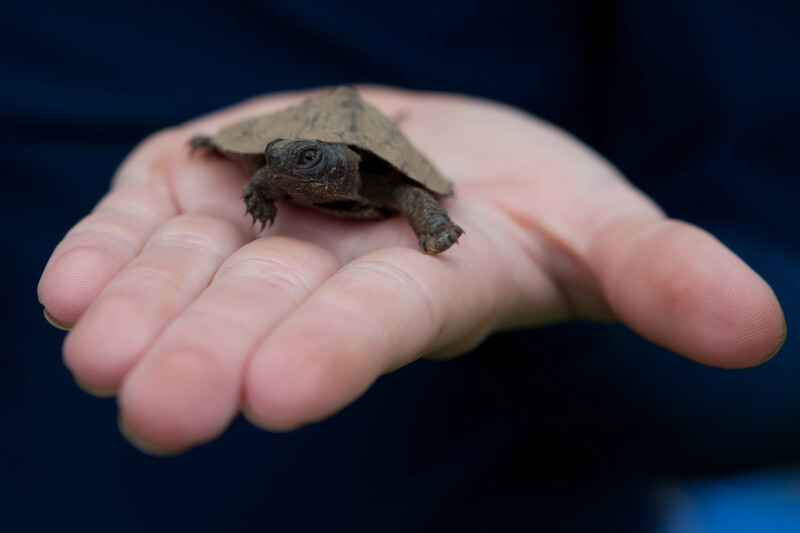 A Stewardship and Conservation Plan has been developed by for the West Branch Water Trail and volunteer stewards help to maintain it.